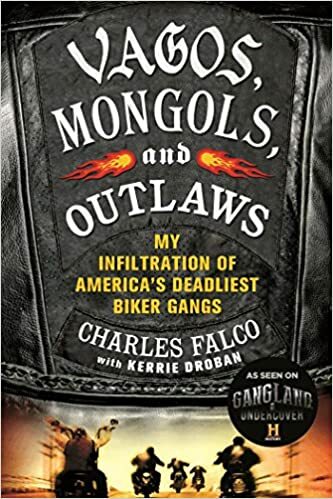 Despite lacking any experience with motorcycle gangs, Charles Falco infiltrated three of America’s deadliest biker gangs: the Vagos, Mongols, and Outlaws. In separate investigations that spanned years and coasts, Falco risked his life, suffering a fractured neck and a severely torn shoulder, working deep under cover to bring violent sociopaths to justice. His dedication was profound; Falco spent almost three years infiltrating the Vagos gang and rose to second in command of the Victorville, California chapter. He even served time in San Bernardino’s Murder Unit and endured solitary confinement to protect his cover and the investigations. Falco recorded confessions of gangland-style killings and nearly became a target himself before he sought refuge in the Witness Protection Program. But discontent to remain on the sidelines and motivated by a strong sense of duty, Falco eventually left the Program and volunteer his talents again to infiltrate the Mongols and Outlaws, rising in rank to Vice President of the Petersburg, Virginia Outlaws chapter. His efforts culminated in sixty two arrests of members for various crimes, including assault and murder. 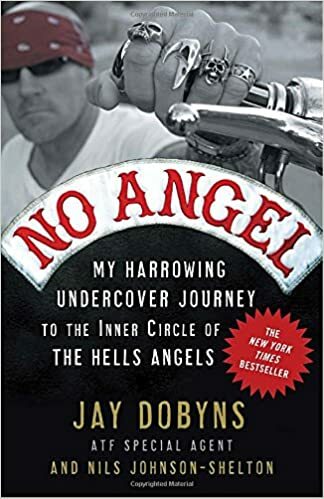 Executing one of this country’s most successful RICO prosecutions and effectively crippling the criminal enterprise, Falco’s engrossing narrative of the dangers of the biker underworld harkens back to Hunter S. Thompson’s classic Hell’s Angels, vividly recounting a life undercover. 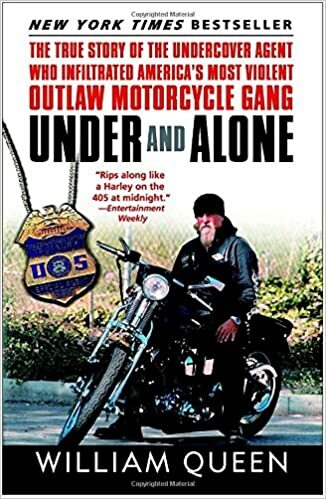 In the series premiere, Charles Falco, a private contractor infiltrator for the ATF risks his life undercover when he infiltrates the notorious Vagos Motorcycle Club, a one percenter motorcycle club at their headquarters in Southern California. As a “hang-around”, he gets to know the members during a bike run. However, he must quickly prove himself when a surprise invitation by the club’s president puts him right in the middle of the underground counterculture of outlaw biker gangs. Six months in, Falco, now a prospect in the Vagos biker gang, gets even closer to the members, but is subjected to constant hazing and waiting on their needs 24/7, including handling a drug deal with Dawg, a Nazi Lowrider. When a fight breaks out at the club’s bar, a knockout punch earns Falco his “road name” by his sponsor, Kid, who calls him “Quick”. A new motorcycle provided by Falco’s handler, Koz, gives him added street cred with the gang. However, after Lizard turns it into a real club bike, he now owes him a debt. Now a full-patched member, Falco is getting used to the addictive outlaw biker lifestyle, and ends up in trouble during the club’s annual bike run to Reno. Meanwhile, ATF raid Darko and Stash’s place, causing the Vagos international president, Felix to question Schizo about having a snitch in his chapter. Later, Falco is promoted to joint sergeant of arms, but he pays a heavy price when he loses his only friend, Kid in a drug deal gone south, and his girlfriend, Susana’s trust, as well as making an enemy in the end. Two years into his infiltration and four months after Kid’s drug deal went south, Falco’s collected enough evidence to put most of his brothers-in-arms away, however, he’s still haunted by one crime. When Stash murders drug dealer Johnny H, the D.A.’s determination to convict him threatens to blow Falco’s cover. Meanwhile, Falco proves he’s a critical asset to both the Vagos and to his operation, now codenamed “22 Green”, a joint operation between the ATF, DEA and local cops. But when he later throws the first punch in a bar brawl, Falco, Schizo, and Stash all find themselves behind bars on charges of attempted murder. Behind bars, Falco is under real pressure imprisoned for a month inside FCI Lompoc. Amidst some of the most notorious gangs in the world, Falco has to do what is necessary to survive, learning the ropes from his cellmate Thor. During his time, he rises within the ranks as “The Rep” in the “Woods”, a part of the Aryan Brotherhood all while under pressure from Suzanna’s numerous questions. Just when it couldn’t get any worse, Falco’s former partner Bernard discovers his location and puts out a hit on him. It’s only a matter of time before it’s carried out. He lands himself in solitary, where time stops and he’s left with his conscience. Darko is made president of his own chapter, defecting Schizo’s members. After three years of evidence gathering, Falco’s mission is nearly over. The ATF is finally ready to bring Operation 22 Green to an end, in a series of massive coordinated raids. Agent Koz wants Falco to lay low until the bust goes down, but when Schizo orders him (now the chapter VP) to orchestrate a major drug deal, keeping a low profile proves impossible. To make matters worse, Darko and Stash pressure him to defect and start cooking meth for their rival chapter, while Suzanna walks out on him for good. With the final police raid imminent, a vulnerable Falco is interrogated at gunpoint. Falco’s whole life is torn apart and he has no idea if he’ll actually make it out alive. Every two minutes a house in Britain is burgled, and for years Nottingham has suffered the highest burglary rates in the UK. But the city’s police are fighting back, and are now capturing the burglars on camera. They are installing hidden minicams inside ordinary homes, which record the thieves in action.